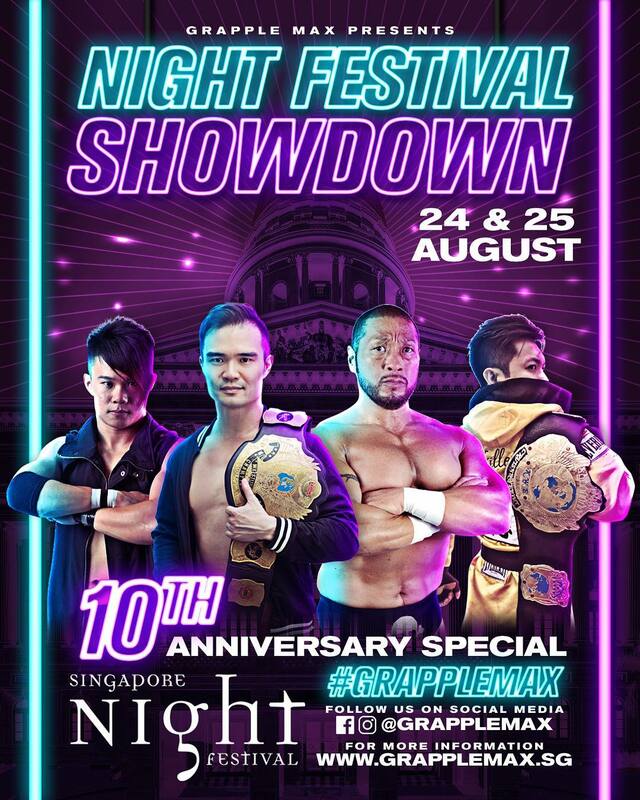 Check out the Night Fest happening from 18 August to 26th! And guess what, it’s all FREE!! Well, except for some venues it’s free but with one drink purchase cause it’s a bar of sorts. But mostly free! 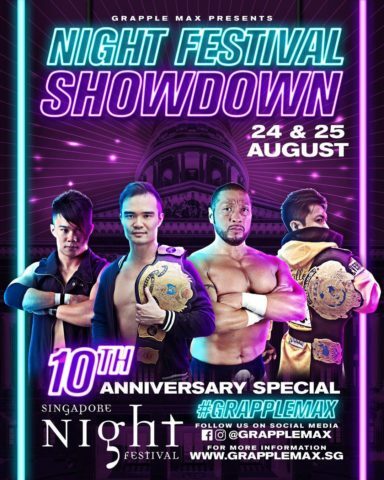 Lots of art performances and oh hey GrappleMax is having a show too! Ok, I’m biased, it’s cause it is FREE I want you all to watch because wow, ok I did go to their showcase before and it is entertaining (plus I also tried out their sessions). You get more info here. Or just put it in your calendar that it’ll be on 24 Aug & 25 Aug, 7pm – 7.30pm, 9.15pm – 9.45pm at SMU, The Pit. They’re entertaining and work hard to put up their performances so, catch a show. 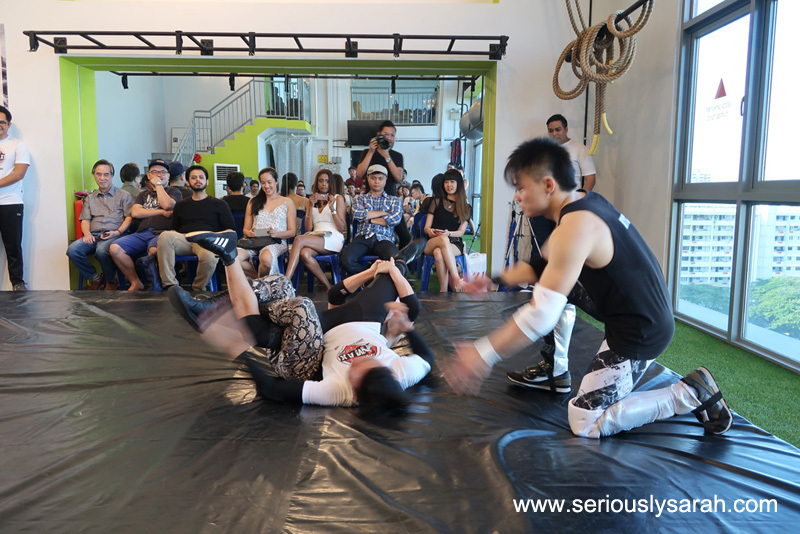 Here’s just some pics from their previous showcase where visiting wrestlers and some of Grapple Max students get to fight! These two are the new ‘graduates’ of level 1. And this was a tag team match with pros. It’s actually pretty entertaining so when you do go to their shows at the Night Fest, be sure to cheer them on. And this was just for their showcase. Who knows how it’ll be for their shows at Night Fest!